Originally, the word meant opera genre of music. However, over time this term has acquired new meanings, one of which is directly related to the Internet. Let us consider, which means that Opera on the Internet. Advanced users of the World Wide Web with one voice answer: Opera - is a web browser (program, for viewing Internet pages). And they are right. 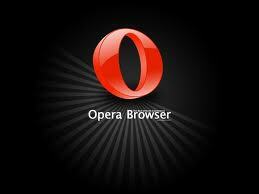 The Opera browser was created in 1994 the Norwegian team of programmers. The program is written in C ++. The browser quickly became popular and even today maintains its position. He is one of the most popular browsers, on a par with Mozilla Firefox and Google Chrome. This program can work in all common nowadays operating systems: Windows, Linux, MacOS, etc..
Opera's popularity is largely due to the speed of the program. Pages load quickly enough. In addition, there is an additional mode - Opera Turbo, designed to speed up page loading with a slow connection to the Internet. Due to its speed of the browser is also widely used on mobile devices. For phones and tablets have a special version of the program: Opera mini. The browser takes up less space, but it is faster and uses less web traffic.